Nobody has ever found the job application process easy, so why make it harder than it has to be? It is suggested that job searching should take 15-25 hours per week, so it’s crucial to invest time wisely and create a strategy to work towards. By giving your job search a structure you can maximise the potential of interviews and offers, rather than wasting valuable time. Yes, you are great, but don’t oversell yourself. Exaggerating your true skills and qualifications will not only frustrate employers, but ultimately create big problems when you are unable to complete tasks you stated you had experience in. Many employers or third party recruitment agencies will specify what the job requirements are, occasionally including desirable qualities too. If a requirement includes ‘must speak fluent German’, and you don’t know any German, it would undoubtedly be unproductive to spend your time applying for the role. Learn to focus your efforts on a better suited role. When selecting a job to apply for, make sure you have fully read the roles and responsibilities you would undertake. Despite feeling like you need to apply in mass to receive at least one response, it is actually more beneficial to select a job based on your suitability. By carefully matching your strengths and attributes to that of the job description it is more than likely you will receive responses, versus that of mass application. Matching the role to your preferences is just as important for your long term personal growth too, as the average employee is estimated to spend an average of 4.4 years in a role. A high volume of applications may also expose you to being negatively flagged. If you apply for more than one job with an employer through a recruitment agency, people may remember your name for the wrong reasons. Why you may believe this shows enthusiasm, it can actually show a careless and even fickle attitude and a belief that you are applying for anything and everything without any drive or motivation to seek employment in a specific industry, sector or role. Does anyone read a cover letter? A cover letter accompanies your CV, giving you an opportunity to tailor your approach for a vacancy and emphasis your personality, before they even look at your career history and qualifications. A covering letter acts as a small advert for you and in some occasions, can be more appealing than the applicants entire CV. Make sure you tailor your cover letter; keep it brief and concise. By specifically drawing on aspects relating to the company, a candidate is showing their commitment to the role very early on, a behaviour at the top of every recruiters list. Committed applicants tend to hold values similar to the company which re-assures the employer of a good fit for the business. Your CV is perfect, your cover letter is bold and you have an interview date. Now, don’t forget to smile or it could cost you a job offer. When applying for a role your assessment has already begun, turning up at the interview is no exception; don’t be fooled into thinking that your assessment is restricted to the walls of your meeting room. First impressions can make or break an interview, arrive in good time, but not too early and ensure your dress code is appropriate. All communication is important both verbal and non-verbal. While there is a lot to remember don’t forget that what you say is just as important as how you say it. Your delivery is key and you should be conscious of speaking confidently and clearly, without appearing too dominant or over talkative. Use your research. From when you apply for the job, to attending the interview, make sure you have carried out adequate research about the company. Not only will this help you when your prospective employee asks questions, but it will also allow you to tailor your answers to that of the business’s needs. Many candidates are unsuccessful in the interview stage through failing to research the company, make sure you are not one of them. 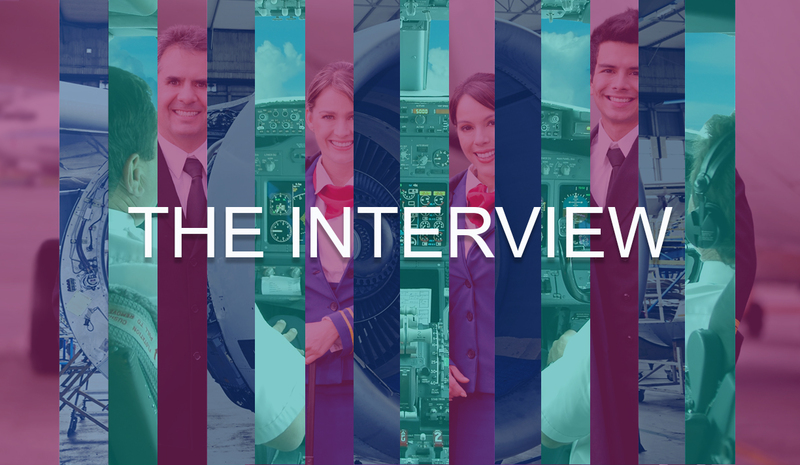 Go beyond reading a company’s website and fully research the specific areas of the aviation industry relating to our potential role, as well as news and statistics you could possibly draw upon. Finally, prepare and ask your own questions. Recruiters and hiring managers are often left frustrated when candidates don’t make the most of the ‘do you have anything you would like to ask?’ opportunity. This is a perfect chance to show you are serious about the role and your potential career with this employer. Focus on the working environment, what the incumbent workforce enjoy most about working there, what your career development path might look like, what challenges you will have the chance to get stuck into. Get ready for our next blog, ‘After the Interview’, to see how you can continue to show that you are the right candidate for the role.